An article in Neurology advisor (see link below) discusses the use of SPG Blocks to treat pediatric headaches and migraines. The study included 310 procedures on 200 children ranging from 7 to 18 years of age. In 10 minutes after the block a significant number of children reported a 2 point drop in pain levels. The study looked at treatment of pain severe enough to require an ER or Physician visit. The real beauty of SPG Blocks they can be used at the onset of pain to prevent a full attack and they can be used prophylactically to prevent migraines. Pediatric headaches and migraines should be addressed as soon as possible to eliminate both physiologic and psychological effects on children. Typically Sphenopalatine Ganglion Blocks are preformed by physicians. Self-Administration is a complete game changer for quality of life of both children and their parents. It is extremely safe and typically uses 2% lidocaine without epinephrine. Lidocaine has natural anti-inflammatory properties. An added benefit is the incredible savings involved. A trip to the Emergency room can cost hundreds or even thousands of dollars and creates a major life disruption while self administering an SPG Blocks takes minutes to provide relief and is under $1.00 in cost. It is far safer than any of the medications used to treat headache and migraine and it avoids a great deal of unnecessary and invasive diagnostic testing. A recent article in Current Opinions in Pediatrics Sept 17, 2018 “Migraine in Children: presentation, disability and response to treatment” summarizes that “Recent research suggests that preventive medications may not be more effective than placebo.” Medication is clearly not the best approach to most pediatric migraines. This is a video of a pediatric patient who presented with a severe disabling headache and was treated with an SPG Block. The Sphenopalatine Ganglion (SPG) is the largest Parasympathetic Ganglion of the head and is part of the autonomic nervous system. There are two primary divisions of our nervous system, the Somato-Sensory nervous system that we utilize to take in our environment and control our bodies. We are well aware of utilizing the Somato-Sensory syustems. The Autonomic nervous system is the second division and it controls the underlying physiologic systems that help us survive, control sleep, hunger, digestion, heart rate, and much much more. The Sympathetic which controls our “Fight or Flight” reflex prepares our body for action and typically responds to stress from our environment. An example would be meeting a large angry grizzly bear, our bodies prepare to run like hell or get ready for the fight of our life. Our body release Cortisol the stress hormone and adrenaline. Our blood is shunted to the brain, heart and other muscles. Our senses become very acute. The Sympathetic response is a reflex that provides for the survival of the individual. The Parasympathetic system is just the opposite. It is often called the “Eat and Digest” or the “Feed and Breed” reflex. It is where we are laid back and relaxed. It is where we are aware of love, warmth and comfort of others. It is where we relax and recover, sleep, dream and much more. It is called tthe “Survival of the Species” reflex rather than the individual. The Sphenopalatine ganglion has cell bodies of the Parasympathetic nerves but it is the major supplier of both sympathetic and parasympathetic nerves to the head and especially to the Trigeminal Nervous System where almost 100% of headaches and migraines are initiated controlled. The Sphenopalatine Block acts as a reset button turning off Sympathetic stress responses and turning on the Parasympatheetic system, similar to hitting Control/Alt/ Delete when your computer freezes up. Anxiety reduction that is obtained with SPG Blocks is a godsend for severely anxious pediatric migraine patients. New studies have shown that SPG Blocks can eliminate about 1/3 of essential hypertension. This would be especially useful in children with hypertension. While utilizing Sphenopalatine Ganglion Blocks to treat, stop and prevent headaches and migraines an enormous benefit it is important to understand that many of these issues are initially caused by underdeveloped maxillas and small pediatric airways. This can lead to sleep disorders including Snoring, Sleep Apnea, Restless Legs, UARS, Nocturnal Enuresis (Bed Wetting), ADD, ADHD, Stress disorders, Anxiety and many other problems. Early orthopedic/orthodontic treatment can change the development of the jaws and grow a lifetime of better physiology and healthier sleep and Breathing. The VIVOS DNA Appliance and Epigenetic Orthodontics can be utilized to address older children and adults who have small airways and Orthopedically grow larger jaw s and Pneumopedically grow larger airways. All children with Headaches, Earaches, Migraines, ADD, ADHD, and even simple snoring should have a sleep study to evaluate their airways. 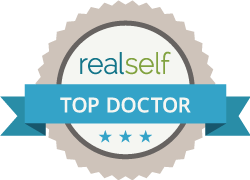 Dr Shapira practices in Highland Park, Il , Visit his websites http://www.ThinkBetterLife.com to learn more. This link is to an article on Current Treatment for pediatric migraine, after a quick review you will understand superiority of SPG Blocks. Migraine in children: presentation, disability and response to treatment. Slater SK1,2, Powers SW1,2, O’Brien HL3,2. The current review presents findings from investigations of migraine in children. The presentation of pediatric migraine, related consequences, and medication treatments are reviewed. A number of advancements have been made in the study of the presentation, disability, and treatments for migraine in children. However, recent research suggests that not all approaches are equally effective in the treatment of migraine in children. Specifically, a recent study comparing pharmacological interventions found that preventive medications were not statistically more effective than placebo in children. Consistent findings showing clinically meaningful placebo response rates, shorter duration of headaches and other characteristic features (e.g. frontal, bilateral location) have been barriers to the design of randomized clinical trials in children and adolescents with migraine. Better understanding of treatment mechanisms for medication interventions is needed. Several migraine treatments have determined to be effective for use in children but few controlled studies have evaluated the effectiveness of medication treatments. Recent research suggests that preventive medications may not be more effective than placebo. Additional research is needed to evaluate the effectiveness of medication treatment in migraine headache care.